One part technology, another part real-estate, WeWork is a New York City-based startup that rents office space to other startups around the world. Founded by Adam Neumann and Miguel McKelvey, the company was started as a way for small firms and entrepreneurs to further develop their ideas in work spaces without the high costs. While on the outside the company essentially does the same thing as an office leasing company, WeWork is able to play into the 'sharing economy' trend, like Airbnb, Roomarama and Uber. WeWork will rent a floor in an office building, usually on long term contracts (10 - 15 years), then sublease small spaces to entrepreneurs on a month-to-month basis. Users or 'members' will have the option to pay for either a Commons Flexible membership, starting at US$45 a month or a Full-time membership, starting at US$350 a month. While the full-time package will give you unlimited access to a desk/chair workspace during the week, the flexible pack will give you one day a month, with options to purchase additional usage for US$50 a day. The tech part to the business model comes in the form of the company's app. If you're a member, the app allows you to browse its office locations around the United States and the world and book a spot. 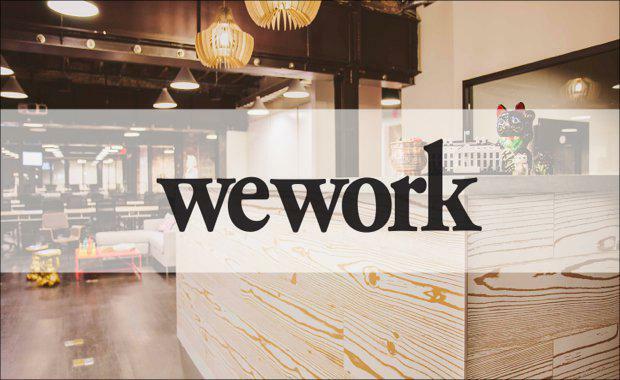 The company has now also launched its own social network called WeWork Commons. Similar to LinkedIn, as it can be used to network, it aims to focus more on people in the earliest stages of their business. It allows customers to communicate ideas and provides information like happy hours and events, aiming to foster work communities. Since 2010, the company has had an astronomical rise in users, space and most importantly - company valuation. expects to accumulate an estimated 3.5 million square feet globally by the end of 2015. The growth is impressive considering just four years ago the company had just 3,000 square feet in Soho, NY. The news that had many people talking however was the $5 billion valuation it was given. The Wall Street Journal Neumann, WeWork co-founder, even admitted that had the valuation been based on real estate, the number would be been significantly smaller. The Real Deal has said sources put its value to be around 100 times its earnings. To compare this number, Regus, the world's largest shared-office provider and WeWork rival, trades at just 34 times its earnings, less than half of WeWork's potential figures. Wired, has said that WeWork's approach is more risky than that of Uber or AirBnB. As unlike those companies, which Lapowsky says acts as a market place, with independent drivers and homeowners, WeWork leases all the space. While it's working very well for them now, she wonders what will happen "if the bubble bursts?". Putzier had similar sentiments, posing doubts about WeWork's ability to weather a downturn. Currently, WeWork is signing very long-term leases at high rates. Questions have be raised about if the company could charge members, with no long-term commitment, the rates if needs to stay profitable, especially if the real-estate market or economy crashes.